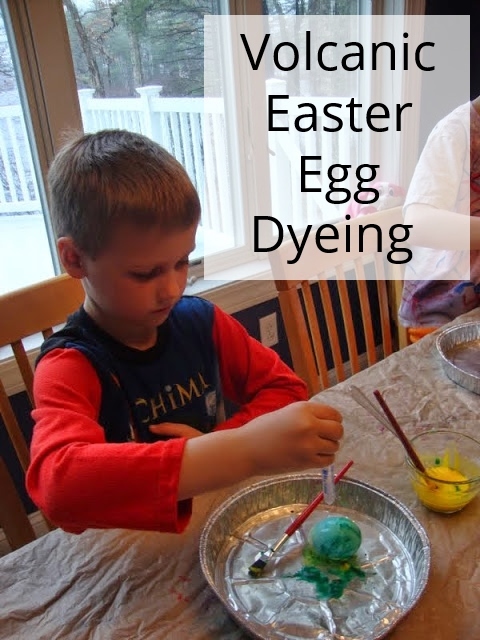 Now that our field trip season is starting to die down I am purposely making more time for science and when we saw this in one of our books we knew we just had to try it! Step 1: Stretch the foil over the bowl and use an elastic to hold the foil tightly in place. You want to make the foil as wrinkle free and drum tight as possible. Next blow up a balloon. Break some tiny pieces of foil off and roll them into tight little pieces (or keep small, flat flakes) and put them on your foil drum. Rub the balloon against your hair and get it nice and static filled. 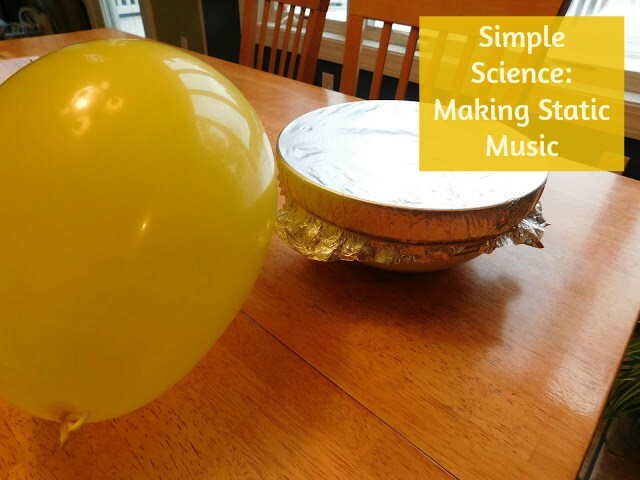 Then hold the balloon over the foil drum and watch/ listen as the static attracts the tiny pieces of foil. you can see some of them getting sucked up to the balloon and they fall back to the bowl with a plink sound. Making noise like a drum. our pieces were too big the first time so we tried again. Then plunk right back down on the drum. See the one strand of foil in the far right corner? It's vertical between the balloon and the drum. Awesome demonstration! I love science and static electricity has always amazed me. Bet the boys loved this! They thought it was lots of fun! I love science and I'm so glad I've been able to pass that love on.